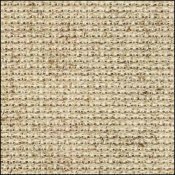 Sand 14ct Carolina Linen  - $8.18 : Yarn Tree, Your wholesale source for cross stitch supplies. Item 3584. Elegant evenweave fabric which combines the quality of the finest cotton with the characteristics of linen. 51% linen, 49% cotton; made in the USA. Has a nice feel. The 14ct is woven like aida. 15"x18". Color: Sand.